Dr. Thomas is Board Certified in Plastic Surgery by the American Board of Plastic Surgery. He is a proud member of the American Society of Plastic Surgeons, which is the largest organization representing plastic surgeons in the country. He is also a Fellow in The American College of Surgeons, which is dedicated to improving the care of the surgical patient and to safeguarding standards of care in an optimal and ethical practice environment. To achieve and maintain these designations, Dr. Thomas undergoes rigorous testing and review. Dr. Thomas earned his medical degree from Michigan State University College of Human Medicine. He also holds two degrees in biology: a Master of Science degree and a Bachelor of Science degree from the University of Michigan. Dr. Thomas’ General Surgery training took place at Wayne State University in Detroit, Michigan, and he completed his Plastic Surgery Residency at William Beaumont Hospital in Royal Oak, Michigan, and his Microvascular Reconstructive Surgery Fellowship at the University of Louisville in Louisville, Kentucky. As a convenience to patients, Dr. Thomas is affiliated with Munson Medical Center, Copper Ridge Surgery Center, Charlevoix Area Hospital, and McLaren Northern Michigan Hospital. 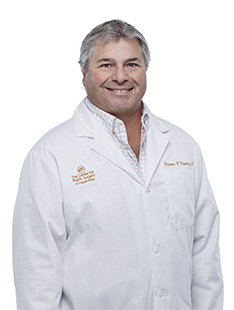 Click here to read Dr. Thomas’ thoughts on today’s plastic surgery. 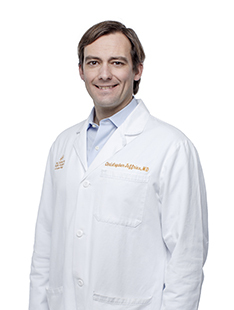 Dr. Jeffries is board-certified in Plastic Surgery by the American Board of Plastic Surgery. He is also a proud member of the American Society of Plastic Surgeons, which is the largest organization representing plastic surgeons in the country. He was recently granted Fellowship status in The American College of Surgeons (FACS), an organization dedicated to improving surgical patient care and to safeguarding ethical standards in the surgical practice environment. Dr. Jeffries must undergo rigorous testing and review to achieve and maintain his FACS designation. Dr. Jeffries completed his Plastic Surgery residency at Indiana University (IU) in Indianapolis, Indiana, and has advanced training in microsurgery. In June 2009 he took additional training from pioneers in the field of breast reconstruction in Gent, Belgium, and has brought these techniques to Northern Michigan. He completed his medical degree and General Surgery residency at Wayne State University School of Medicine in Detroit, Michigan, including trauma surgery at The Detroit Receiving Hospital. His undergraduate degree is in Economics from The University of Virginia. As a convenience to patients, Dr. Jeffries is affiliated with Munson Medical Center, Copper Ridge Surgery Center, Charlevoix Area Hospital, and McLaren Northern Michigan Hospital.